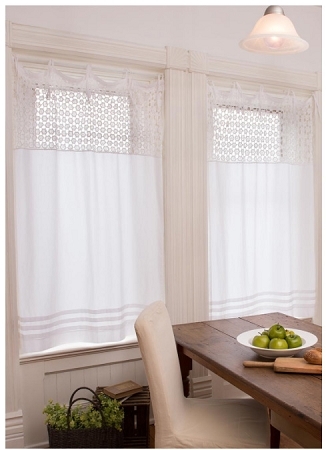 We love how practical this valance is! 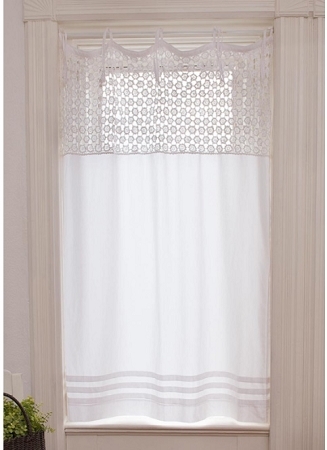 The crocheted top allows the sun to shine in while the solid bottom panel provides privacy. Attach to the rod with the ribbon ties for a homespun feel. 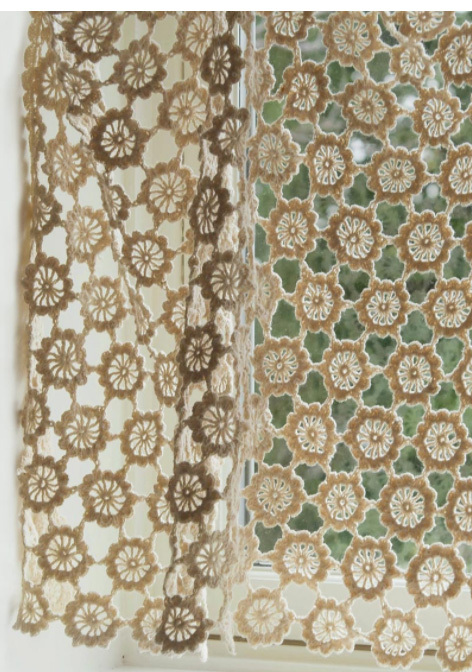 Select from 2 sizes in your choice of white or natural color.